Three scientific societies will hold their joint scientific meeting, known as PRiME 2016, from Oct. 2-7, in Honolulu, HI. This is the largest, most significant research conference of its kind in the world, and would not be possible without the joint effort of The Electrochemical Society, The Electrochemical Society of Japan, and our newest partner, The Korean Electrochemical Society. PRiME 2016 will include 56 topical symposia and 4,182 technical presentations – including the 6th International Electrochemical Energy Summit and a celebration of the 25th anniversary of the lithium-ion battery. This year marks PRiME’s seventh return to the island of Oahu. 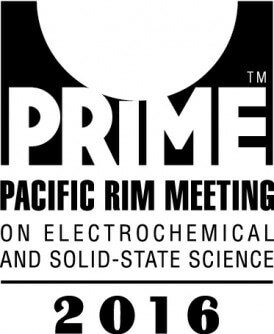 The first Pacific Rim meeting, held in 1987, began to build what would become a major conference for the discussion of interdisciplinary research from around the world, ranging from topics in renewable energy and water sanitation to biomedical and communication technologies. Below are some programing highlights. For more information, email [email protected]. The impact that the development of the Li-ion battery has made on society cannot be overemphasized. From powering medical devices to enabling hand-held electronics and even providing potential storage for a renewable grid, Li-ion technology has revolutionized the way we think about energy. PRiME 2016 will celebrate the 25th anniversary of this technology by hosting talks by some of the pioneering scientists who helped transform Li-ion technology from a laboratory curiosity into the backbone for many devices. The symposium will feature daylong plenary lectures and an evening reception and talk by Yoshio Nishi, former employee of Sony. Other speakers include John B. Goodenough, widely recognized for his role in the development of the rechargeable Li-ion battery; M. Stanley Whittingham, a key figure in battery technology whose developments allowed Exxon to commercialize the first rechargeable Li-ion battery; Michael Thackeray, known for his identification of new cathodes that led to advances in Lithium technology; Zempachi Ogumi, recognized for his work focusing on interfacial phenomena in Li-ion batteries and fuel cells; and Martin Winter, who has focused on Li-ion R&D for nearly 25 years. Speakers will include Mark Glick (Hawaii State Energy Office), Robert K. Dixon (U.S. Department of Energy), Eiji Ohira (New Energy and Industrial Technology Development Organization), and Won-Young Lee (Korea Institute of Energy Research). Free registration is available to credentialed representatives of the press. Please email ECS Marketing and Communications Director, Rob Gerth ([email protected]), for further information.